The NBA Needs to Move the 2017 All-Star Game From Charlotte. Now. 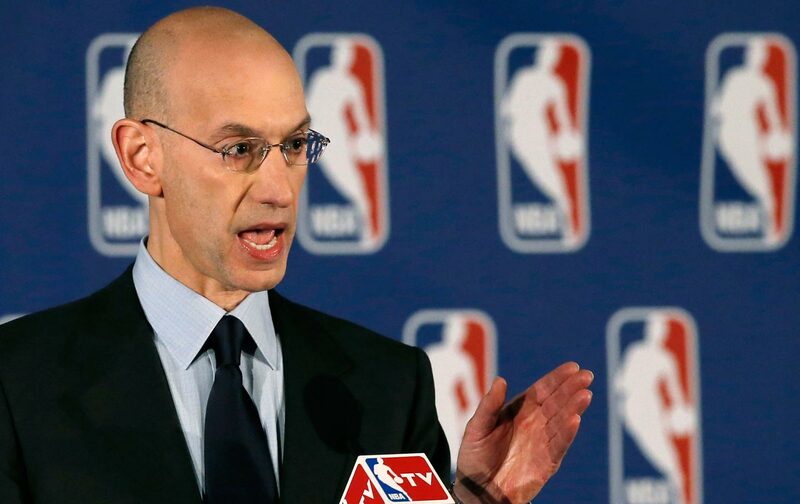 Commissioner Adam Silver has a chance to lead on challenging an ugly piece of discriminatory legislation. Judging by his own words, it’s past time for him to do so. I have mixed feelings, because I’m enormously proud that the first openly gay player is playing in the NBA. On the other hand, this is so long overdue that I don’t think this should necessarily be on the list of the greatest accomplishments of the NBA. This is an area where no one in sports should be too proud. Sports has led society in so many critical areas.… this is one where we fell behind. Given how often professional sports breaks its own arm patting itself on the back for being an engine of social progress, Silver’s words were very welcome. Now he has a chance to actually lead—and he needs to do it as soon as possible. The law also bans students from using restrooms that correlate with their gender identity if it is not what is listed on their birth certificate. “Legislators have gone out of their way to stigmatize and marginalize transgender North Carolinians by pushing ugly and fundamentally untrue stereotypes that are based on fear and ignorance and not supported by the experiences of more than 200 cities with these protections,” Sarah Preston, acting executive director of the American Civil Liberties Union of North Carolina, said in a statement. Under the shadow of this legislation, the NBA really only has one recourse: It needs to move the 2017 All-Star Game and show the world that it is not going to “fall behind” on what is a very elemental issue of human rights and dignity. The NBA Players Association, led by the estimable Michele Roberts, should also call for Adam Silver to take this step. When the All-Star game was awarded to Charlotte, Mayor Dan Clodfelter, standing next to Governor McCrory, said, “This is an incredible opportunity to showcase Charlotte internationally as a city that excels as host to a variety of large-scale sports, entertainment, and arts events.” Instead, unless the All Star-Game is moved, it will showcase Charlotte as a center of bigotry imposed tyrannically by the state capitol in Raleigh. It is worth remembering another comment from Commissioner Silver when Jason Collins made history. Speaking to Bleacher Report, he said, “I think we all have to be a little cautious about congratulating ourselves, because it’s also long overdue.” Also “long overdue” is the NBA as a corporation actually taking a lead on LGBT issues and not waiting for its players and employees to take all the risks while they reap the PR rewards. UPDATE: Upon an even deeper dive into the North Carolina legislation, it is worse—and far more extensive—than I described. The NBA is dedicated to creating an inclusive environment for all who attend our games and events. We are deeply concerned that this discriminatory law runs counter to our guiding principles of equality and mutual respect and do not yet know what impact it will have on our ability to successfully host the 2017 All-Star Game in Charlotte.